HMAS Ipswich was decommissioned on Friday 11 May 2007 in Cairns after 24 and a half years of dedicated service. 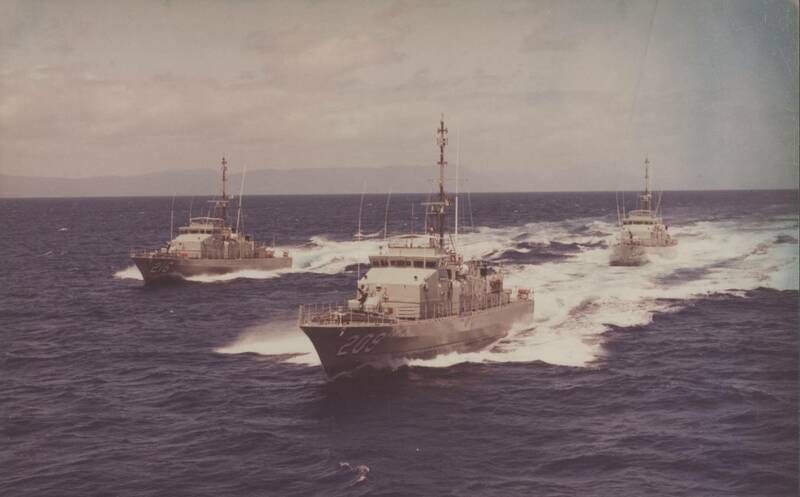 Commissioned on 13 November 1982, HMAS Ipswich was one of 15 highly capable and versatile Fremantle Class Patrol Boats in service with the Royal Australian Navy. She was one of five such vessels based at Cairns Naval Base in Far North Queensland. Ipswich and her 14 sister FCPBs were the Navy's principal contribution to the nation's fisheries protection, immigration, customs and drug law enforcement operations. Left: Booklet from the launching ceremony of HMAS Ipswich II on 25 September 1982. 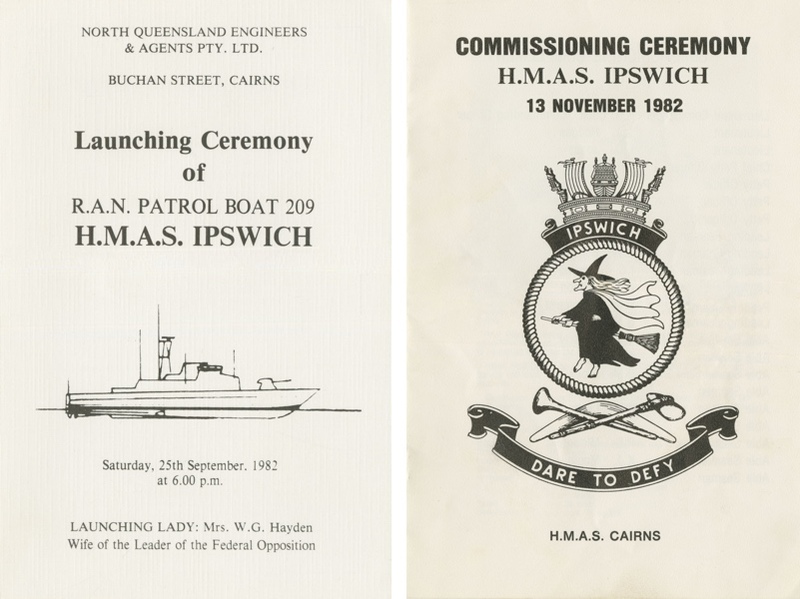 Right: Booklet from the commissioning ceremony of HMAS Ipswich II on 13 November 1982 at HMAS Cairns. Left: HMAS Ipswich left Darwin for the last time as a Darwin based patrol boat on 26 August 1985. 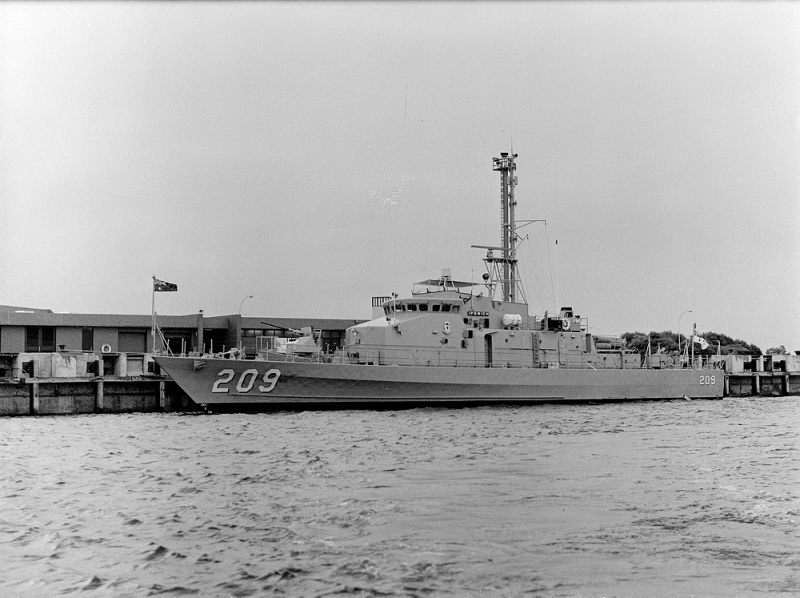 Ipswich was based at HMAS Cairns from September 1985. Right: HMAS Ipswich II. 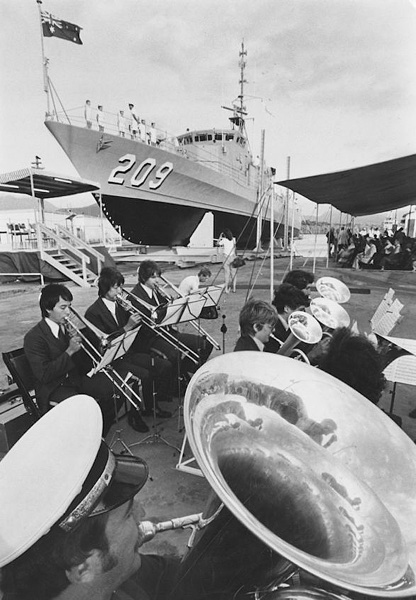 HMAS Ipswich's Freedom of Entry to the City of Ipswich, Saturday 25 January 1986. HMAS Ipswich II in Sydney Harbour. Left: Ipswich firing the 40/60mm Bofors general purpose gun. Right: Ipswich sailing under the Sydney Harbour Bridge. Ipswich was equipped with high definition navigational radar, high and ultra high frequency communications equipment, gyro compasses and echo sounder. She was also fitted with a satellite navigation system that enabled the ship's position to be determined with great accuracy. 25 Australian Naval Cadets joined Ipswich in Caloundra to sail for it's last trip to Brisbane on 23 April 2007. Left: Ipswich crew members with the Australian Naval Cadets onboard HMAS Ipswich II. Right: Ipswich on the Brisbane River. HMAS Ipswich berthing at Bulimba, Queensland, 23 April 2007. These honours were awarded to the name of Ipswich in recognition of the career of the first ship, HMAS Ipswich (I) (named after the Queensland city), a Bathurst Class Minesweeper, more popularly known as a Corvette. 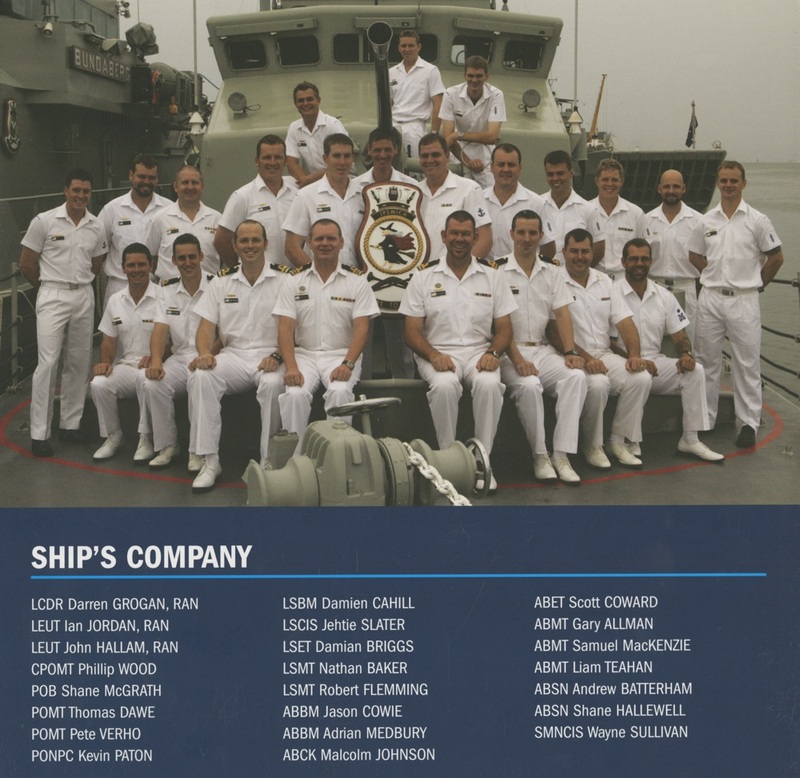 The decommissioning crew of HMAS Ipswich. Left: Mrs Dallas Hayden, the launching lady of Ipswich II, inspecting the guard at the decommissioning ceremony. Right: The Australian White Ensign is lowered for the last time on HMA Ships Ipswich and Townsville. Left: The Executive Officer hands the Australian White Ensign to the Fleet Commander. Right: The ships' companies of Ipswich and Townsville march past for the final time.